Thanks for the review and terrific pix, Simon. Tonight's gig in London was an absolute stunner. And yes, Earl Slick's playing was just fabulous. An amazing gig. I was going to say Simon you lucky barstard so and so, but fair play to you always finger on the pulse. Hope you keeping all right. We bought tickets for last night's show at the Academy Islington way back last year when this was announced and had been looking forward to it ever since. Great to hear the Station To Station album in its entirety with a blistering rendition of the title track. A very funky Golden Years and a wonderfully extended TVC15 were a delight to hear. A daughter of a Spider in the form of Lisa Ronson added another connection to this great era of Bowie music. Bernard was outstanding on vocals and Earl 'boy can he play guitar' Slick was on top form as he let rip. Golden years indeed, wah, wah, wah! Great write-up Simon. Some Bowie fans friends of mine in the UK have been raving about these shows. Earl is awesome. Hope they add some US shows! I do hope for US shows as well. Looks fantastic! Very cool! Wonderful photos and report. Thanks Simon! Earl Slick was seated a few tables away from us at Ronnie's and Mick Taylor's incredible gig at The Cutting Room in NYC a few years back. Caught them on Saturday evening in Colchester, great gig with an amazing version of Stay the highlight. BF a natural front man, obviously he's learnt a lot from the master. Was hoping to have a chat with him beforehand re the new stones album but no luck. I'm just glad that a few other IORRians 'saw what I saw'...here's to these guys playing some more shows together. I'll be there if they do! A big hello to Sara, Mike, Chris and Simon C. too! Cool! I saw a couple of East Coast dates posted. I hope they expand the tour. Do not miss this if you get the chance. The London show far exceeded my expectations - it was truly fanTAStic! Bit of a red herring there. Dates announced are in January 2018. I'm sure it's great but it would make me too sad and make me cry for a week. Still not over David's passing. I wish he were still here making horrible and wonderful music. Bernard was the vocal highlight of the Mike Garson-led tribute show at the Wiltern in January. A late addition to the roster, he did the relatively obscure "Win," and left every ounce of emotion in him on the floor. I think he was crying at the end. So I'm definitely on for S2S and recommend it to anyone regardless of lingering feelings for DB: He's not coming back. So I'm definitely on for S2S and recommend it to anyone regardless of lingering feelings for DB: He's not coming back. I know that Earl did not play guitar on Heroes, but Bernard almost always does Heroes when he plays with Waddy, and he sounds great doing it too. Edited 1 time(s). Last edit at 2017-08-06 08:06 by BluzDude. Yes, Phantom Rocker & Slick got together again a few years ago when their 1st album was reissued on CD. Here's still hoping that their 2nd one, "Cover Girl" also gets the same stunning reissue treatment rather sooner than later. 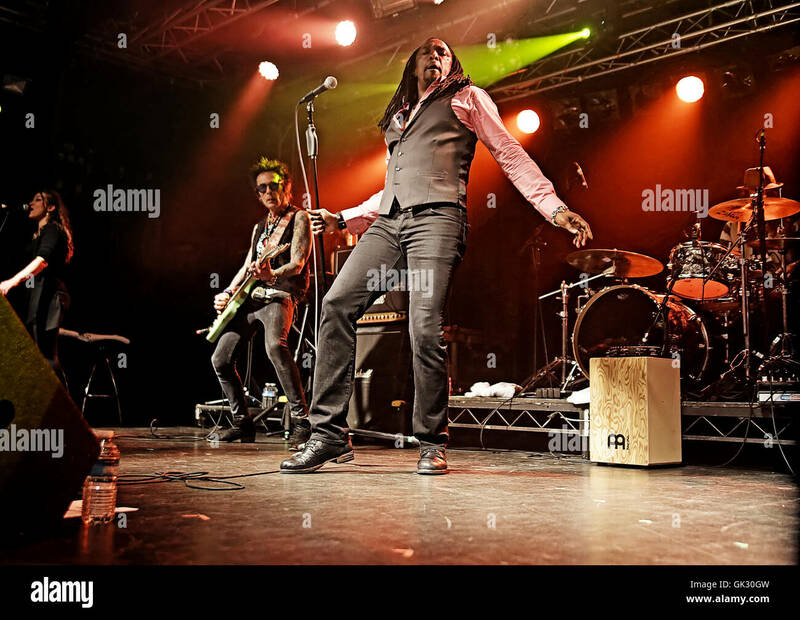 In 2015, Earl Slick and Bernard Fowler decided to celebrate the upcoming 40th Anniversary of David Bowie’s celebrated Station to Station album with a tour in the United Kingdom. Sadly David Bowie passed away and the tour, which kicked off in March of 2016, became a celebration of his life, featuring songs from Station to Station, and other Bowie, Rolling Stones, and Bernard Fowler tunes. The tour was an enormous success, and received praise in press and social media. On the heels of that incredible journey, Slick and Bernard are bringing a similar set to the United States. Didn't Keith Play on a track from Phantom Rocker and Slick's first record? I could be wrong but seems like it. He played on, "The single "My Mistake" also appeared on the Top Rock Tracks chart, peaking at 33, and featured Keith Richards." Earl had played on "State of Shock" replacing Randy Hansen on guitar. However, I had that wrong previously. Bowie was working with Earl Slick when "Dancing in the Street" was cut. 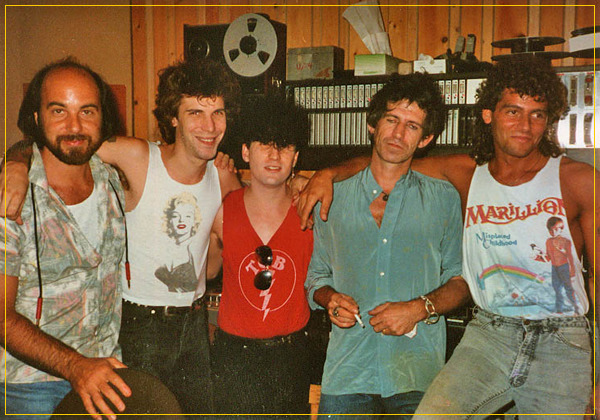 Mick brought in G. E. Smith to overdub guitar later. Noticed for the first time: isn't that Keith in the video at 3:04 ?? You can clearly see him for just half a second! superb guitar skills. A masterpiece. Anything in the pan for Europe, as far as we know?